I've been ruthlessly going through my apartment and getting rid of anything I haven't touched/used in the past 6 months. Moving 3 times in the last 4 years has taught me to move house with as little as possible. So over the weekend I took to going through every cupboard/shelf/drawer/box/pile of crap in my apartment. We took a carload of stuff to the charity bins at the local church. I got rid of about 1/3 of my shoes!!! Some handbags and clothes and heaps of linen. Why does one couple need 7 bed pillows?? I said goodbye to all my books (novels mostly) and the useless "souvenirs" we've collected from events. 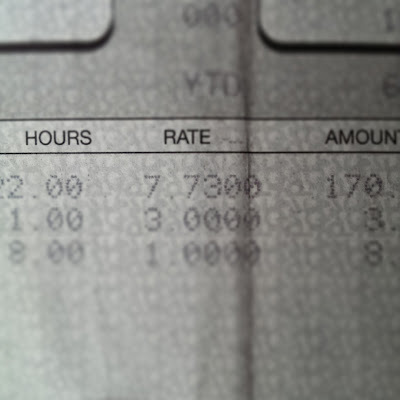 I even found my payslips from 12 years ago when I was earning $7.73/hour at Bakers Delight (which my instagram friends have since told me was actually quite high compared to what they earnt). I also found some things that are worth selling so will aim to list those on ebay soon (god I hate ebay). I have to say though, it feels SO GOOD to get rid of so much stuff. It makes you feel lighter and clearer headed and happier (and this is coming from the daughter of an insane hoarder). We also managed to fill all the bins in our apartment building so had to put a halt to the culling and will finish up this week after the rubbish man's been to collect rubbish. 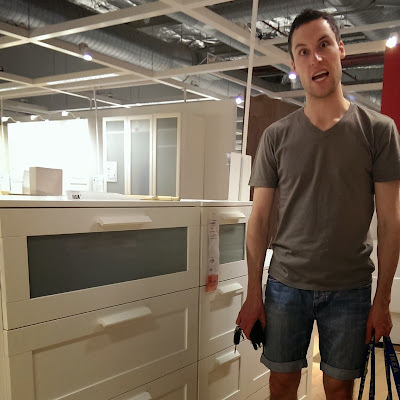 We dropped into IKEA for some furniture shopping as we've decided to get a new dining table, a wardrobe and an end of bed storage unit. Our current dining table is this huge circular shape which is greatly inefficient space-wise and we just have so much clothing/shoes (ok mainly me) that we need an extra wardrobe. I'm going to have loads of fun putting this stuff together (not being sarcastic, I really love putting these things together). I found myself (the usually impatient one) enjoying IKEA but the usual patient one couldn't wait to get out of there. Also picked up some Christmas wrapping paper while we were there which reminds me I need to think about Christmas presents. 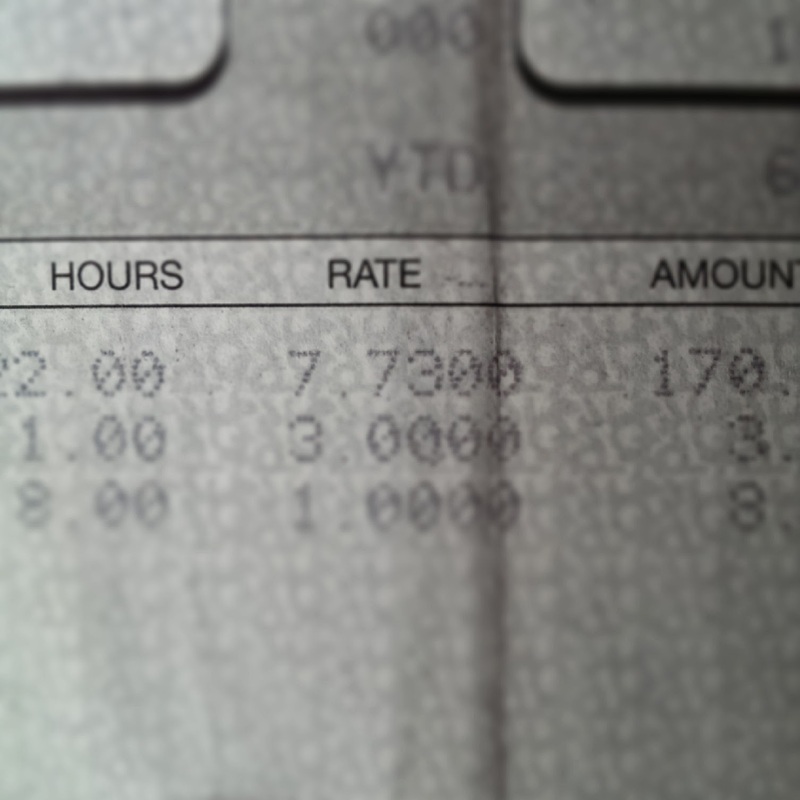 No time no time. What else happened over the weekend? We visited Tom's Pop in hospital - he's a trooper and is doing so well. It's the first time I've been to Royal North Shore since they've done it up and it's actually looking really nice. 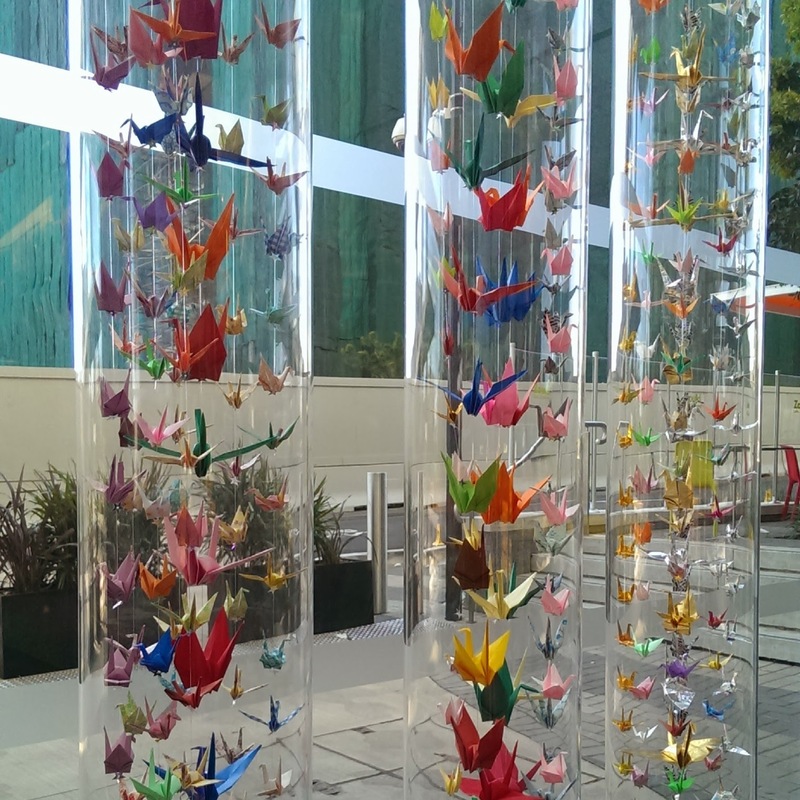 They have these beautiful paper cranes in glass tubes as you walk in. It took us a good 20 minutes to make our way out as we got lost, getting into the service elevator, then the patient elevator and finally finding the elevator for the general public. We recreated a Jamie Oliver 30 minute meal for dinner, watched some new New Girl and Hawaii Five-0 before hitting the sack. What a great weekend!! What did you get up to over the weekend and are you a culling convert like me? I am not a hoarder at all. I attach very little sentimental value to things, and every 6 months do a massive clean where I throw out lots of things! Neat and tidy house makes me feel better, and I'm hoping it will tide me well now that we're moving! I do a massive clean every 6 months or so as well. S and I live in a terrace with no storage at all (apart from a pantry) and we really can't hoard anything because the house looks too untidy. We actually have way too much stuff at the moment and I have a serious itch to purge. I love paper cranes, what a nice addition to the hospital! I think I'm now addicted to culling. I am being absolutely brutal and whittling down our belongings. The paper cranes are beautiful! !